A crackdown on hip-hop culture has swept across China. It is an act of censorship for domestic ends, and an effort to define Chinese culture and project a controlled version of soft power on an international stage. 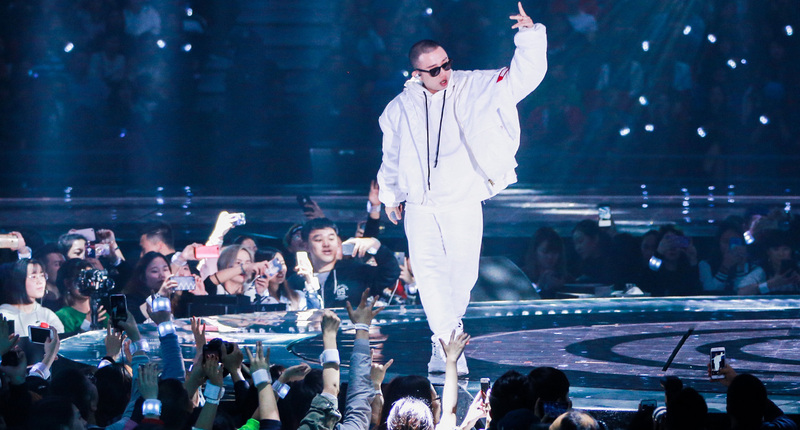 Hip-hop’s explosion into mainstream Chinese culture came in the summer of 2017 when a reality TV show, The Rap of China, thrust hip-hop artists to prominence. Hailed as a game changer, the first series garnered 2.94 billion views. The show was influential and viral. It was not only the music but the culture which gained sway. Words such as “freestyle” used by the show’s stars quickly entered the vernacular and became the subject of top-trending hashtags, memes, and catchphrases on Chinese social media. But in recent weeks, the show’s co-winners, Wang Hao and Zhou Yan (whose stage names are PG One and GAI, respectively) have faced a campaign of public criticism and condemnation in state media for promoting drug use and misogyny. China’s top media regulator has subsequently banned hip-hop culture and tattoos from screens. The top regulator Gao Changli has urged producers not to use “tasteless, vulgar, and obscene” actors, among other stipulations aiming to clean up media content. This has amounted to a crackdown on the hip-hop scene. This is one part of a long-standing Chinese Communist Party campaign to control the influence of hip-hop on youth culture, as well as to prevent it from becoming an established mode of political resistance. In 2014 Xi Jinping laid out his vision for arts and culture in China, saying that imported art forms such as hip-hop should only be adopted “if the masses approve” and if the foreign art form has “healthy progressive content”. A year later, the majority of songs on a banned a list of “morally harmful” songs were hip-hop, showing that controlling lyrical content, particularly hip-hop lyrics, was considered a social issue significant enough to warrant regulation. The domestic crackdown also has global implications for China’s international soft-power efforts. Since Hu Jintao called for “cultural soft power” to become a key national initiative at the Seventeenth National Congress in 2007, China has pursued soft power as a state-led public diplomacy effort. The Party has chosen traditional (pre-Communist) Confucian culture as the “Chinese” product deemed suitable for foreign consumption. Back in 2014, Xi Jinping said that traditional Chinese culture is the lifeblood of the nation, an important source of core socialist values, and “a foundation for China to compete in the world“. This state-sanctioned culture which sells China abroad is at odds with the culture represented by Chinese hip-hop artists, such as Higher Brothers, who ostentatiously flaunt wealth and expose the excessive, intimate, darker underbelly of life in contemporary China. What’s more, China’s officially sanctioned traditional culture also lies in stark contrast to hip-hop’s global identity as a genre of music that is part of urban culture, from Shanghai to Nairobi, and plays a key role in many different linguistic and ethnic communities. By regulating the hip-hop scene domestically, Beijing is not only working to preserve its domestic stability and cultivate positive public opinion, but is also impeding the rise of unofficial artists in the domestic market and stopping that culture from reaching billions of screens. The effect is that a natural evolution of hip-hop culture is nipped in the bud before it can self-disperse and gain traction abroad.